But if not market valuations, what should be the focus on investors? My view is that they should be watching for signs that, at a minimum, earnings growth will falter or, probably more importantly, that the economy is set to tip into recession. I tend to think it is more likely that the economy takes the equity market down with it than the opposite. 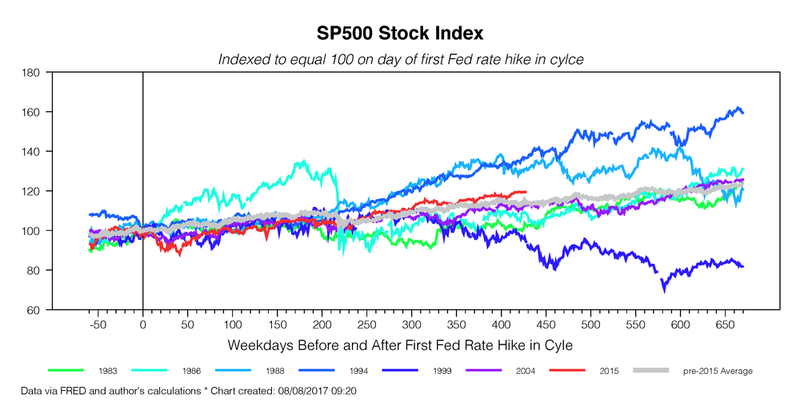 The general rule is that if the economy continues to grow, then it is more likely than not that stock prices rise, even if the Fed tightens monetary policy. Many analysts, however, continue to resist this historical lesson, largely on the basis of traditional valuation metrics. These metrics, such as PE ratios, have been long elevated, leading to the difficulty explaining market behavior that my Bloomberg View colleague Barry Ritholtz has observed. The 2015 red line looks like a very well behaved market. There is certainly less volatility. Some say it is manipulated and the lack of volatility is just plain creepy. That would not be a surprise. 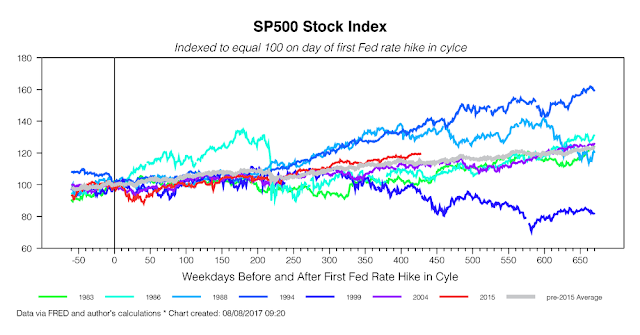 Ultimately, Duy, who believes that the Fed is still in charge, believes that an over tightening will cause recession and recession will cause stock decline. The insiders, in my opinion, will always be the first to know. And we cannot leave out housing. A strong slowdown in the housing market could portend serious economic troubles at home. Housing is in the process of slowing.